Every member that opens a checking account with Olympia Credit Union can receive a VISA Check (debit) Card*. The Visa Check Card allows you to make transactions anywhere that the VISA logo is accepted and it is quicker than writing a check. Sprig is the ultimate virtual credit union wallet – with P2P payments to anyone plus all your accounts from all your credit unions together in one spot. It’s as convenient as your laptop, smartphone or tablet and accessible anytime, day or night. Access your accounts, make deposits, transfer between accounts, pay loans from one institution to another, make person-to-person payments from virtually anywhere! Visit www.getsprig.com today to sign up or visit your Android or Apple app store to download the Sprig app today for mobile access. This service is an overdraft protection program on eligible accounts that pays your personal checks avoiding merchant return check fees. If you make a mistake in your checkbook or need emergency car repairs your check will be covered up to a $500 negative balance for a courtesy pay fee of $30 per check or ATM/POS or Debit card transaction. You will have 30 days to repay the overdrawn amount. Account eligibility: Your personal checking account must be open for four statement cycles; you must have an aggregate deposit of $750 to your account during each statement cycle; and you must be over age 18. All accounts that meet these criteria are not guaranteed this service. Please see your member service specialist for details and disclosures on this service. 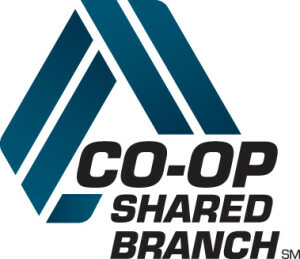 Olympia Credit Union is a participant in the shared branching network. What does this mean? It means you can access your account from 5,000 + other credit union locations nationwide and some international. You can make withdrawals, deposits, do transfers, or even make your loan payments. This also means you can access your other credit union accounts here at our branches. So, if you want to perform a transaction on your other credit union account you can do that at our offices with just your ID and your other credit union account number. We are here to improve your financial lives and save you time in doing your banking business. Olympia Credit Union offers a great Bill Payer program. It’s quick and easy to use. We are offering this service for only $4.95 per month OR we will give this service to you for FREE if you sign up for e-statements. It’s that simple! NOW save time and money. Just go into home banking and click on BILL PAYER and set yourself up. Don’t forget to enroll in e-statements too so you can get this great service for FREE! With Home Banking and Credit Union connection you can check your account 24 hours a day 7 days a week. This service allows you to check your account balances, get free Estatements, make loan payments, transfer money between your Olympia Credit Union accounts, and pay your bills via Bill Payer. This is another FREE service offered by Olympia Credit Union. Olympia Credit Union is now a participant in the Credit Union Dealer Lending Network. Once you’ve found a car, RV or motorcycle, credit union financing is just a click away at participating dealers! With a loan from Olympia Credit Union, you’re on your way to savings! You can learn about our special offers and apply online today. Our site makes sure to connect you with dealers that know you’re working with Olympia Credit Union, and will expedite the process when you’re ready to visit a dealership. We’re always here to help you make the best decision. 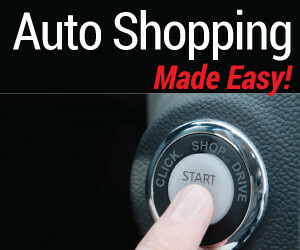 When you start shopping for a car, you need reliable information to make the most informed purchase. At Olympia Credit Union, our AutoSMART site gives you the tools and information to make car shopping as quick and easy as possible! Not ready for a car loan yet? Still need to establish or repair your credit? Can’t seem to build up any savings? Olympia Credit Union has a unique program that will help you do all of it. We can setup a short term loan with payments that will fit your budget, and when the loan is paid in full you will have established credit and money in savings. All checking accounts come with a FREE VISA Check/Debit Card. We offer many different styles of checks with the ability to personalize them to suit your style. See the Checking Account page of the website for more information. Don’t have enough money for your Vacation this year. Olympia Credit Union offers Club accounts which allow you to set up a goal and try to reach it by the next year. The best thing about this club is that we pay you to be a part of it. Open a Christmas or Vacation Club and we will pay you a higher dividend rate than on our regular savings account. Olympia Credit Union offers Traditional and ROTH IRA’s. Let our staff assist you with the expert resources to answer your questions about your IRA choices. Visit our quick links page to connect with the Member’s Financial Network for some free information on your retirement planning. Click here to continue to Trustage Whole Life Insurance coverage web page. Not finding the service you were looking for? Need more details on the services above? Contact us today and let us know. We are happy to help!